Institutional and high net worth individual (HNWI) investors from the Middle East region will be among the focus group of overseas investors for the $450 million new alternate investment fund (AIF) to be launched by Tamil Nadu Infrastructure Fund Management Corporation (TNIFMC), the fund’s chief executive officer said. In an exclusive interview with Arabian Business, Krishnamurthy Vijayan, CEO of TNIFMC, said the new fund will be an impact investment fund that will be deployed in the affordable housing sector in the state of Tamil Nadu, India. “There are several medium and large-size fund houses and HNWIs in UAE and the larger Middle East region which are interested in investing in impact investment funds, and they will be among our target group of investors for our new fund,” Krishnamurthy said. The proposed impact investment fund, which will be the second round of fund raising by TNIFMC, is expected to be launched in April-May this year. Krishnamurthy said his private equity fund will not be talking to large institutional investors from the Middle East region, like Abu Dhabi Investment Authority, Dubai Investment Corporation and Investcorp of Bahrain for investments, as these funds are mainly interested in direct investments in infra and housing projects in India through their Indian offices. The Tamil Nadu Infra PE fund will be the second Indian fund launching AIF in recent times to tap mainly investors from the Middle East. In December last year, Kerala-based Samana group, along with IBMC UAE, floated a feeder fund in Abu Dhabi for its $560 million AIF – SGF 2020.“The new fund will have a corpus of $450 million and will act as an impact mutual fund for the Tamil Nadu Shelter Development Board,” Krishnamurthy said. The proceeds from the impact investment fund will be deployed in funding some of the affordable housing projects of the state’s Slum Development Board to be launched for the potentially under-served customer groups in the state. 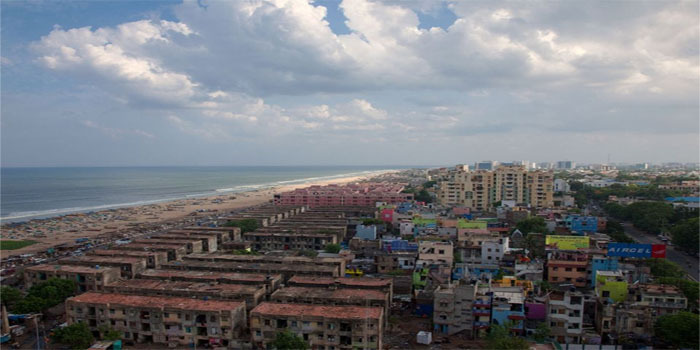 “The affordable housing projects will have apartments with EMIs (equated monthly installment) ranging from only $75 to $150 and therefore are expected to be hugely successful projects,” Krishnamurthy said. Besides the end-user target of working class households in the lower income group in the state, the increasing demand for rental houses by thousands of migrant workers in the state are also potential customers of these affordable housing projects. In its first round of fundraising, the TN Infra fund has raised $300 million last year, with the Japanese institutional investor JICA (Japan International Cooperation Agency) as its anchor investor. TNIFMC has mostly deployed this fund in renewable energy sector in the state. Aside from JICA, investor groups from Europe were the other participants in this fund.